It may be an infamous day for the Broncos, but football is just a game; and whether a team wins the Super Bowl or comes in last place, the masses aren’t impacted a single iota. Conversely, Janet Yellen was just sworn in as Fed Chairman 20 minutes ago – it’s Monday morning at 9:20 AM EST; and I assure you, the infamy she will be associated with will reverberate across the globe – for generations. She didn’t “start the fire,” of course (ironic, as a Billy Joel song just came on the radio); and she certainly didn’t fan it, either. No, the former honor goes to Richard Nixon, in 1971; and the latter, Alan Greenspan and Ben Bernanke over the past 27 years. However, as a hard-line money printer – which is precisely why she was appointed – Janet Yellen will be the Fed Chairman under whose “watch” the fire will consume the planet. Before her initial Congressional testimony on February 11th, we’ll be distracted by Thursday’s ECB meeting – during which, Euro interest rates may be further reduced; as well as Friday’s NFP report and initial “debt ceiling deadline.” However, once she takes the podium next Tuesday morning, the “Age of Global Hyperinflation” will commence; and thus, we advise you think long and hard – NOW – about your financial future. As for this morning, the global currency crisis has not let up at all. Alarmingly, we have not seen so much as a minor “dead cat bounce”; and even blatant government intervention efforts – quite obviously, following intensive weekend conference calls – have thus far failed. Clearly, the Bank of Japan is doing everything in its power to prevent the Yen from appreciating below 102/dollar – demonstrating just how wacky Central bank priorities have become; but they, too, have decidedly failed. And as for the U.S. PPT, it will now be severely debilitated by the so-called “tapering” the Fed has suicidally commenced. In fact, due to their new, “tapered” monetization scheme, there will actually be three “non-POMO” days in the coming two weeks – i.e., when they do not inject funds into the markets at 10:00 AM EST, levitating the “Dow Jones Propaganda Average” with what I long ago deemed the “DEAD RINGER” stock algorithm. Thus, make sure you watch the equity markets on February 11th, 13th and 17th – as most likely, they will act entirely differently than in 2013! Before I get to today’s main event, let’s take a gander at the weekend’s news – so in the world’s cumulative Super Bowl stupor, it’s not forgotten just how dire the global financial situation has become. To start, we saw a “back door bailout” of two of Italy’s largest, most insolvent banks on Friday evening – i.e., Unicredit and Intesa Sanpaolo; shortly after Spain’s fourth largest bank, Banco Popular reported an astonishing 20% sequential increase in non-performing loans. Throw in Argentina desperately trying to raise $10 billion to avoid immediate collapse; talk of a new, €10-20 billion Greek “bailout”; collapsing December Ford and GM auto sales; and for the coup-de-grace, this morning’s disastrous Chinese services PMI report – to its ALL-TIME lowest level; and you can see just how imminent “Yellenomics” commencement is. Well now it’s 10:00 AM EST, and the “ISM Manufacturing Index” just tanked, from 57.0 in December to 51.3 in January, versus the 56.0 estimate. The Dow is now down 160 points; Treasury yields and emerging market currencies are plunging (can you say QE5? 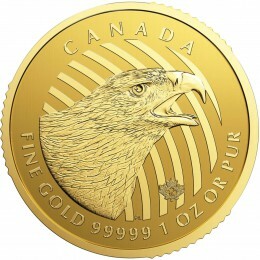 ); and gold has finally broken out above its three-month “line in the sand” at $1,250/oz. – following last night’s 24th “Sunday Night Sentiment” attack of the past 25 weeks, and 21st “2:15 AM” attack of this year’s 22 trading days! 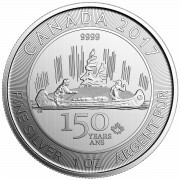 This is why you need to avoid those “timing” the PM market, and protecting yourself by acquiring ounces while you still can. Anyhow, per the “sensationalistic” title of today’s article, here’s an astounding chart – depicting just how strongly Chinese physical gold demand has started the year. What you see are monthly, physical gold deliveries from the Shanghai Gold Exchange over the past five years; which, by the way, dwarf those of the world’s gold “price-setter” – i.e., the fraudulent New York COMEX. The massive spike you see in April 2013 followed what we deem the “Alternative Currencies Destruction” – when the Cartel attacked gold and silver for $200/oz. and $5/oz., respectively, over a two-day period, to cover the catastrophic, hyperinflationary impact of the just commenced “QE4” printing scheme. 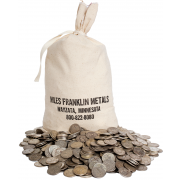 FYI, here at Miles Franklin, that April spike coincided with the best month in our 25 years of business; 50% stronger than our second best month, in September 2011 – when “dollar-priced gold” hit its all-time high of $1,920/oz. Anyhow, the second set of spikes – at the far right of the chart – represents January 2014; which through the month’s first 24 days, is on course to exceed the Shanghai Exchange’s all-time high delivery month – of April 2014! And thus, while JP Morgan’s ridiculous $65 billion of “gold derivatives” – i.e., naked shorts – digs the Cartel a deeper and deeper “paper hole” each day, its exponentially expanding physical liabilities teeter at the age of implosion. In future years – or perhaps months, or even weeks – the COMEX will be rendered immaterial; as by the time Westerners awaken each day, the Chinese will have long taken gold and silver prices dramatically higher. And when they do – as Western Central banks desperately hyper-inflate their currencies to avert instantaneous collapses (which ultimately, MUST occur either way); those that have already protected themselves with real money will be saved – while those that haven’t, decidedly WON’T. Heard both of your interviews & as always spot on analysis. I have to take umbrage though with the ISM number, even though it highlights the case for financial fallout. Why should we even believe that number, I mean heck from a group of morons that include federal spending in the GDP. It might be 21.3 not 51.3, but need I digress your points are spot on in my humble opinion & as always light years ahead of the CNBC ‘numb skulls’. Your choice of music is excellent with Billy Joel “We didn’t start the Fire”, but I think I hear some more ominous tones in the background….!!!! Thanks much. As I’ve said all along, diffusion indices are immaterial. That said, when TPTB allow one to be published showing the largest plunge since 1980, I take notice. Greetings from a far away admirer, brazilian gold-bug. Pretty soon, it will be impossible to buy it ANYWHERE. hi andy! wow, this is so exciting (and also terrifying) to watch. love and appreciate your rants. You’re very welcome. And for the record, I’m terrified, too! Yep, you and I both! 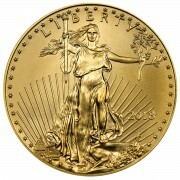 Mr Hoffman, will physical silver act in tandem with gold price fluctuations. Please explain your thoughts here’ as I’m confused. I know historically, then gold/silver ratio has been around 18:1. Currently, I think it’s around 55:1. My unsophisticated thinking tells me that physical silver has much more upward price movement relative to gold. What do you think? Gold and silver have a roughly 100% directional correlation. The ratio may fluctuate (with manipulation, in particular), but if gold rises, silver will rise, too. TRUST ME, this is how it has been – and will be!